Welcome to our Animal Paradise Hospital located in Cliffside Park, NJ. Since 2010, Our very experienced staff of veterinarians and support personnel look forward to welcoming you and your cherished animal friend to our practice. You can be certain that your pet will receive the very best veterinary care available and at an affordable price. We provide veterinary care for a variety of pets including dogs, cats and exotic animals. We also offer grooming and boarding services. 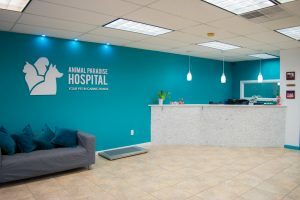 So choose Animal Paradise hospital, where your pet is in caring hands.